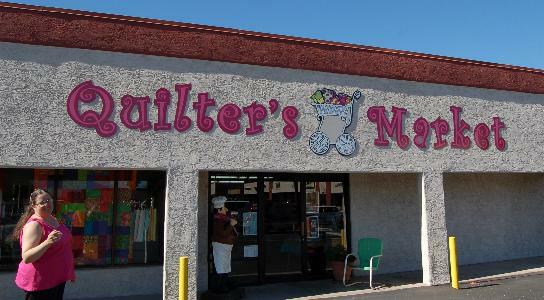 Welcome to To Quilter's Marketplace, located in Tucson, AZ! I thought I had taken several pictures here, but there was only this one. It was a lovely shop, with lots of bright colored fabrics and fun things. And Moira thought she had stepped out of the picture.